At the core of Black Pencil Project's success are some passionate minds and selfless individuals supported by communities of anonymous donors in the Philippines and abroad. Behind the success of Black Pencil Project are anonymous individuals and organisations in the Philippines and other parts of the world where overseas Filipino communities thrive. Current active members of the core group include young professionals, program incubators and change-makers, prominent figures in the private sector, volunteerism and social development communities. 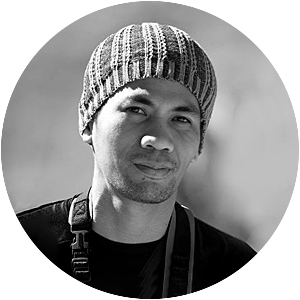 Mon Corpuz is a travel photographer, teacher & art director. He works for digital agency GroupM. He's the founder of Black Pencil Project. Kuya Dino is the founder of White Canvas Organization; an art based advocacy group that bridges art and charity founded in year 2014. Father Joemar Sibug, O.P. is known for his self-less missionary work in Babuyan Islands and Mindanao. He leads Dominican Missions in the Philippines. Nini Sacro is a seasoned mountaineer, an artist and a mother to all. She's the founder of mountaineers-for-a-cause Climb Against Cancer. 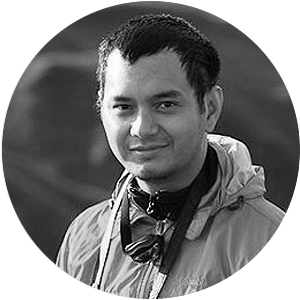 Kuya AG Sano (Dolphin Boy) is landscape architect-turned conservationist is responsible for the ubiquitous street murals in the Philippines. An IT and photojournalist by profession, Kuya Rolan shoots for Philippine Tourism; travels around the country with a mission to change perspectives. Kuya Ryan Sto. Domingo is a intrepid traveler. A graphic designer by profession, he works for a top pharmaceutical company in the Philippines. Kuya Rowell leads Black Pencil Project - Papua New Guinea; a Filipino community that supports school-based advocacies and charities in the Philippines.